Facebook has reached an agreement with UEFA to stream the Champions League in Latin America. Facebook has acquired the TV rights to show 32 live matches for the next three years in Spanish-speaking countries in Latin America, including the whole European Champions League and the European Super Cup. All Facebook users in the relevant countries will be able to watch the games for free. 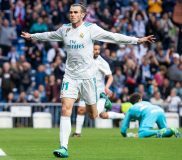 The agreement comes after Facebook earlier this week announced an agreement with La Liga to air FTA live matches to the Asian market.